Takes a fresh look at this teaching and shows how what is to come should shape practical Christian living now. Why think about the future? After all, 'what will happen will happen', it only leads to controversy and argument, and it’s irrelevant to life now. However, Graham Beynon shows that the real danger is that we don't think about the future. God in his Word puts last things first - the whole gospel is shaped around what is to come. God has a plan for where he is taking this world, and his people are called to live in the light of that future. Christians are to be those who look back - to the life, death, resurrection and ascension of Jesus. All that happened then shapes our life now. However, they are also to look forward – at what God will do in finishing his plans for his creation through Jesus. The Bible teaches Christians to store up treasure in heaven; to wait faithfully for the return of their Master; to think of this world as temporary and passing; and to think of the world to come as their inheritance. 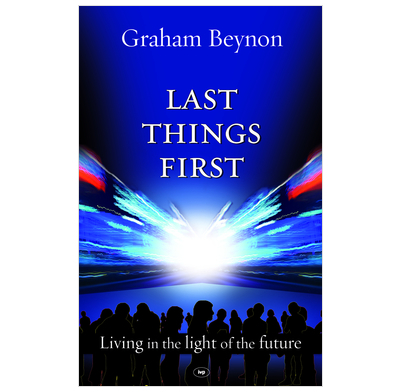 Graham Beynon takes a fresh look at this teaching and shows how what is to come should shape practical Christian living now, with regard to godliness, handling of money, service of others, speaking about Jesus, faithfulness to him, response to hardship, and more. Introduction: why read a book on the future?